Cherry blossom season is in full bloom at Strings Ramen. Inspired by the ancient Japanese tradition of celebrating the spring arrival of cherry blossoms (Sakura), Strings Ramen has created a special dessert -- Sakura Mochi. 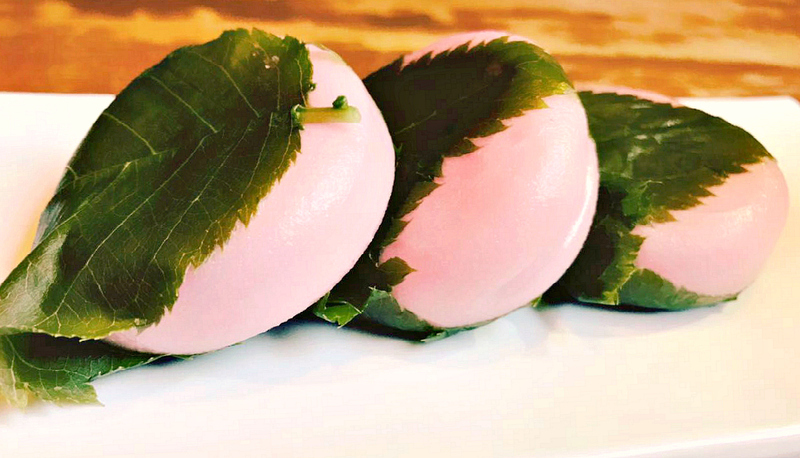 This new spring-time dessert is available through May 15, and features a Sakura-flavored mochi (sticky rice cake), filled with azuki (sweet red bean paste), gently wrapped in an edible Shiso leaf, and available 3 per order for $6.95. The casual 60-seat, BYOB Strings Ramen is open Sunday-Thursday 11am to Midnight. Friday-Saturday 11am to 2am.